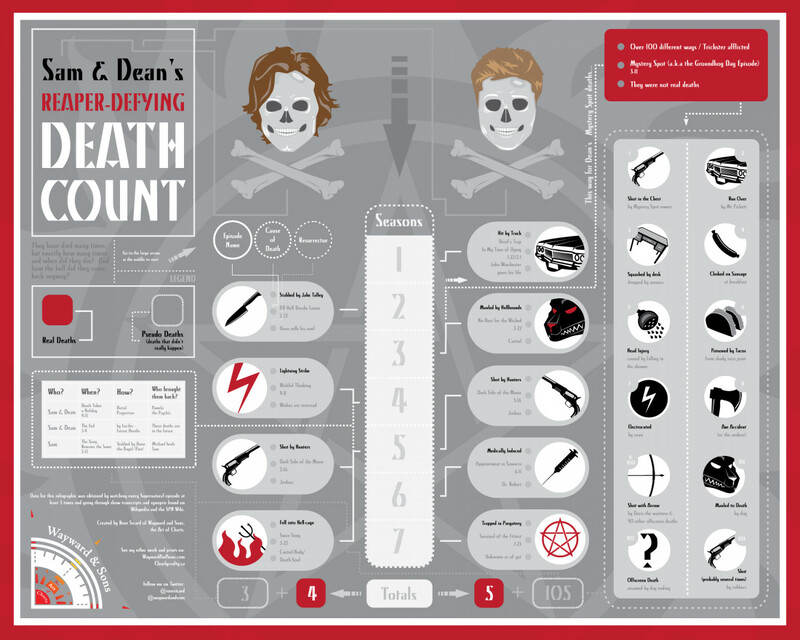 Rose Sicard, a talented designer and her husband teamed up to create this infographic illustrating every real and “pseudo” death Sam and Dean Winchester have suffered during the series “Supernatural”. In addition you’ll learn how they died and who or what resurrected them. This is no small feat considering there are 195 episodes of the show over nine seasons.